Dworshak isn't a lake in the classical sense of the word, but a reservoir; a portion of the once narrow northern fork of the Clearwater River, dammed up to generate power and prevent the yearly spring floods that once plagued the town of Orofino. If half the rumors about Dworshak were true, it would surely be haunted. Stories about a small trade town, its buildings deserted but still intact, buried under hundreds of feet of dark water. Stories of the bodies of workers, accident victims some, murder victims others, entombed forever in the concrete of the dam. Stories of Indian burial grounds desecrated and angry Indian spirits waiting to pull down any unwary white man who swims too deep. Most of all, stories of big fish. It was mostly read like a book read by someone not familiar with some of the words or sentence structures. First there is a monster,then there is another ans maybe one more in the lake.I'm talking about sea beasts,not the people who inhabit this book.They all seem rather like monsters.Read cautiously at first,then with a bit more feeling by Roberto Scarlato .I didn't LIKE any of them.The story is good,a bit grisly.It is full of suspense and adventure.None of the characters had any personalities. 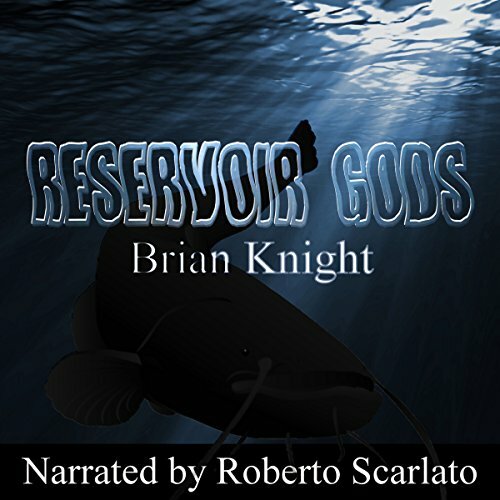 "I was provided this audiobook at no charge by the author, publisher and/or narrator in exchange for an unbiased review via AudiobookBlast or MalarHouse dot com"
I would recommend this book to the readers/listeners I know that like big horror and action kind of books. There is a lot of good things going for this story. It hits many of the right notes when you want to put together a good giant monster/animal/storm sort of story. It was fast based throughout, and the author made sure they never stopped the action, or let up for even a bit with needless backstory. Telling a story from many perspectives is great, but the author did struggle with making them not seem jarring, and snapping you out of the adventure. My favorite scene was the diver coming upon the sunken town. Underwater archaeology and diving has always been a fascinating subject for me. Add a giant (and I mean GIANT) catfish to the mix, and you are golden. I received this audiobook for free from audiobookblast in exchange for an honest review.